At InfoComm 2016, EXO U launched Ormiboard Pro, a new front-of-class visual creation and collaboration tool. Ormiboard Pro gives teachers and students the freedom to build lessons, activities, and interactive games for use in any classroom that has displays and/or mobile devices. The device-agnostic Ormiboard Pro goes beyond presenting and testing by opening up whole-class creation and participation. With ping-pong sharing and group collaboration, Ormiboard Pro users create sessions where everyone can watch and participate in the lessons. In a classroom setting, teachers can select a screen from a student device and share it on the font-of-class display. Ormiboard Pro is designed for schools and districts and is primarily offered through distribution channels. Pro is an installed software with a perpetual license and enables complete device integration and collaborative sharing over existing networks via local Wi-Fi (no internet access required). Pro is optimized for high-speed and split-view capabilities for multi-touch panels and tables, and gives administrators dashboard control over building, classroom, teacher, user, and content grouping. EXO U will also release its Ormiboard Go edition on June 26 at ISTE 2016 in Denver, CO. The Go edition is designed for teachers and is accessed via web browser, enabling students to easily connect and collaborate online. Go is offered at a subscription rate of $89 per year and easily integrates with resources like Dropbox, Evernote, Google Classroom, Drive, and other cloud services. Ormiboard Pro users are provided a simple upgrade path. “After launching Ormi, we gathered input from the marketplace that consistently favored a few key aspects of the Ormi platform,” said Kevin Pawsey, CEO of EXO U. 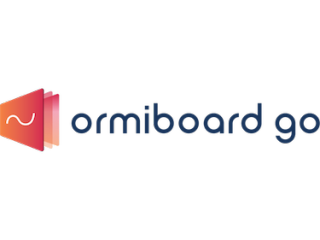 “This feedback from partners and educators alike enabled us to build Ormiboard. It's the best of Ormi, with a simplified experience for whole-class teaching and collaboration—and with applications that extend well beyond the classroom into other markets." A limited evaluation trial is available at Ormiboard.com.